WASHINGTON — With a new tax law in effect and a surge of tax returns expected during the Presidents Day weekend, the Internal Revenue Service is offering taxpayers several tips and various time-saving resources to get them the help they need quickly and easily. The IRS receives more phone calls on the day after Presidents Day than on any other day of the year. Ahead of the Presidents Day weekend, the IRS is reminding taxpayers to “Avoid the Rush,” detailing online options taxpayers and tax professionals can use to get information quickly to avoid long wait times on the IRS toll-free hotline this week and during the week of Feb. 19. Most tax issues can be resolved from the convenience of a home or office. 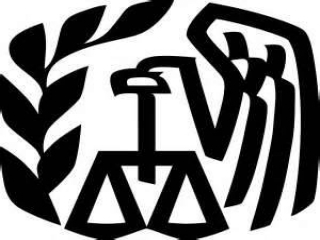 The IRS Services Guide links to many online IRS services. Use IRS.gov to track refunds. The IRS issues more than nine out of 10 refunds in less than 21 days. IRS customer service representatives cannot answer refund questions until after the 21-day period. But taxpayers can track their refund anytime by using the “Where’s My Refund?” tool on IRS.gov and the IRS2Go app. Taxpayers can also call the IRS refund hotline at 800-829-1954. Use the “Where’s My Refund?” tool starting Feb. 23 to track refunds containing the Earned Income Tax Credit and/or the Additional Child Tax Credit. By law, the IRS cannot release refunds that include EITC or ACTC. The earliest those refunds will be deposited into accounts is February 27. Use IRS.gov to find answers to tax questions. The IRS offers a variety of online tools to help taxpayers answer common tax questions. For example, taxpayers can search the Interactive Tax Assistant, Tax Topics, Frequently Asked Questions, Tax Trails and the IRS Tax Map to get faster answers. Review Publication 5307, Tax Reform Basics for Individuals and Families, for more information about tax reform. Let free tax software or free volunteer assistance do the hard work. Taxpayers can get free tax preparation assistance through IRS Free File, for those who want to prepare their own returns, or through the Volunteer Income Tax Assistance (VITA) program, for those who want a volunteer to help prepare their returns. Use digital payment options if you own additional tax. Some taxpayers may receive a smaller refund or even owe an unexpected tax bill when they file their 2018 tax return particularly if they didn’t do a Paycheck Check Up in 2018. Use the Paycheck Check Up to make sure you are withholding enough tax in 2019. Make an appointment before visiting an IRS Taxpayer Assistance Centers. Anyone who needs face-to-face service should make an appointment before showing up. But, as with the toll-free telephone calls, must TAC visits can be resolved by searching IRS.gov. Call your employer first for that missing Form W. Those who did not receive a Form W-2, Wage and Tax Statement, from one or more employers by Jan. 31 should first contact the issuer to inform them of the missing form. Those who do not get a response must still file on time and may need to use Form 4852, Substitute for Form W-2, Wage and Tax Statement, or Form 1099R, Distributions From Pensions, Annuities, Retirement or Profit-Sharing Plans, IRA's Insurance Contracts, etc. A redesigned Form 1040 now takes the place of both the Form 1040-A and Form 1040-EZ. Tax return preparation software will automatically use taxpayer’s answers to the tax questions to complete the Form 1040 and any needed schedules. Throughout 2018, the IRS has been working closely with partners in the tax return preparation and tax software industries to prepare for tax reform and tax form changes affecting tax year 2018. This ongoing collaboration ensures that taxpayers can continue to rely on the IRS, tax professionals and tax software programs when it’s time to file their returns. Taxpayers who call the IRS before and after Presidents Day weekend should be prepared for long wait times because of the high volume of calls received on all toll-free lines. Tuesday, Feb. 19, will be the busiest day of the year. See Let Us Help You for alternatives to calling and for documents, such as prior-year tax return information, taxpayers may need to validate their identities.